Guys. I’m on a salad binge. 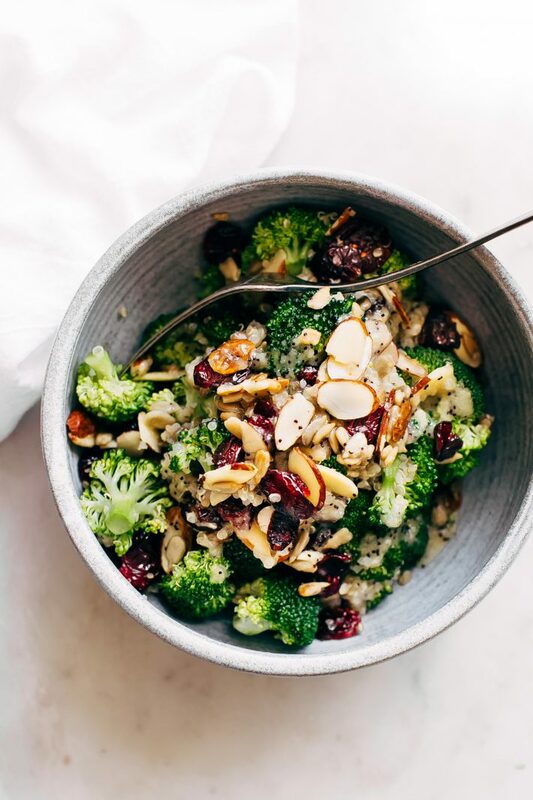 It’s all about the rainbow of veggies/dried fruit in this quinoa power salad drizzle with possibly THE easiest honey-lemon dressing. We take our salads seriously around here. SO much goodness loaded into this one salad guys. I’m kinda of still in awe over a bowl of good-for-you salad that will keep you going all day long but only calls for simple ingredients with just a wee bit of chopping involved. Okay, I kid, it’s more than a ‘wee’ bit but I promise friends, it so so worth it. And hey, that’s just calories burnt, right? Also, this one goes out to my vegan friends out there! HEY! It’s me, the person inside the person that vowed to eat more veggies and lighter meals this year, but kinda sorta lost her way there for a bit. But i’m here! And this salad goes out to you. 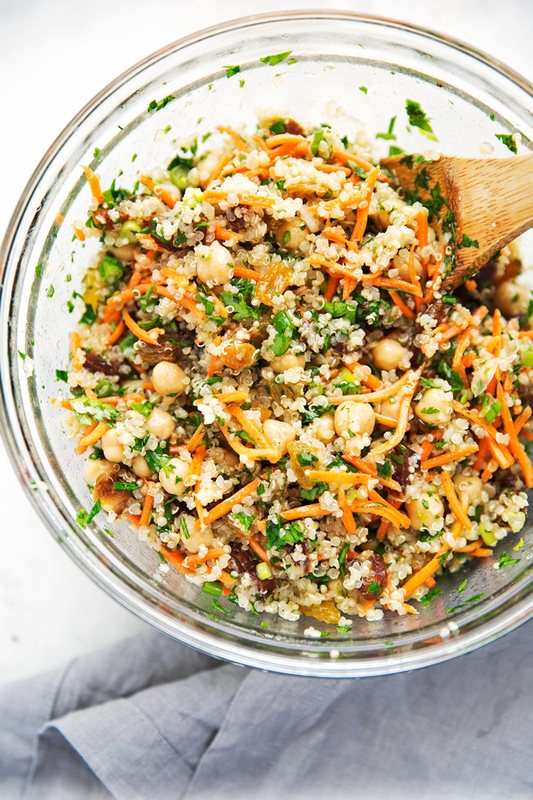 Quinoa Power Salad situation: we’ve got cooked quinoa, shredded carrots, a whole can of chickpeas (or do you call them garbanzo beans? ), tons of chopped parsley, golden raisins, scallions, dates, and one handful of chopped pistachios that in all my excitement I completely forgot to picture in the bowl of delicious moroccan salad goodness. How silly of me! Toss that all up and drizzle with the honey lemon dressing. And just look at all that beautiful color! And let me tell you about that zippy honey-lemon dressing! It’s as simple as tossing a little cumin, olive oil, lemon juice, honey, salt, and a hint of chili power into a mason jar, capping and giving it a few good shakes until the dressing mixes up. BAM! Let’s talk about the perfect power salad for lunches, picnics and barbecues. This is the ideal salad to make when you’re watching what you eat and your picnic friends have nothing green/veggie/healthy on the table. 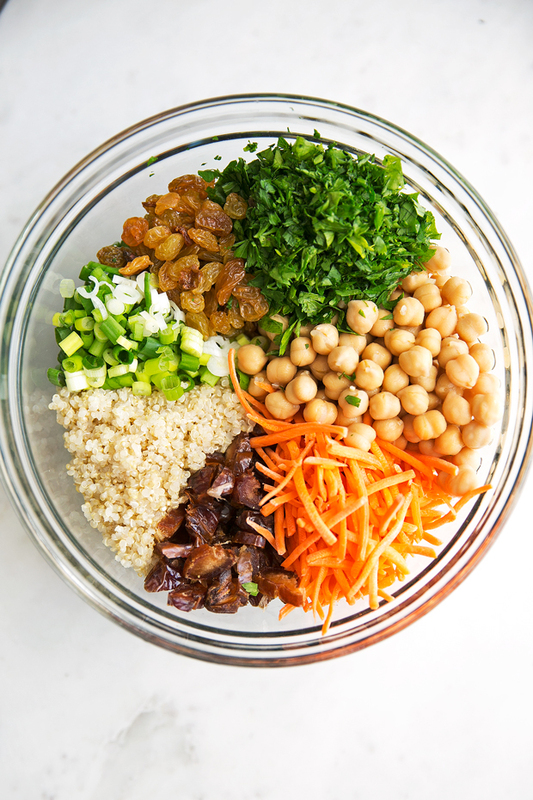 Moroccan chickpea salad to the rescue indeed. The substitution/additions for this salad are limitless! Seriously friends! MAKE IT YOUR OWN. I want to dry chopped dried apricots, try roasting the chickpeas, subbing in a little cilantro, maybe trying it with brown rice instead of quinoa. I’ve got another version of this moroccan salad  on the blog where I used chopped walnuts and left out the quinoa entirely! It’s perfect for when you’re already serving bread/rice on the side and still want this in your life. It will last! Like, what is considered forever in salad years. As in I tossed this salad with the dressing and packed away the leftovers and had them 2 days later and it was still delicious. The refrigerator time gives the quinoa a chance to soak up all the honey-lemon goodness. 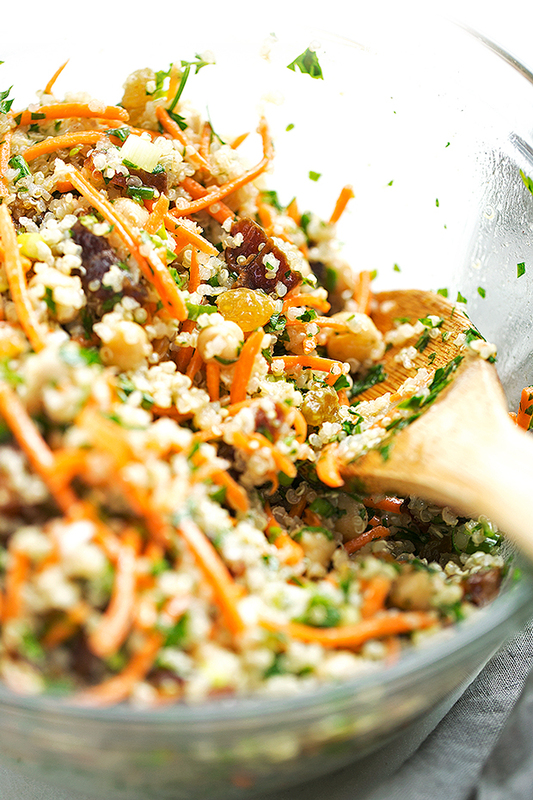 The carrots, dates, and raisins all have a chance to mesh flavors and boy oh boy it’s the perfect meal for a quick desk lunch or a busy day in the kitchen. HERBACIOUS! that’s how I describe this quinoa salad. After all, I am chopping up an entire bunch of flat leaf parsley and tossing it in like it’s my job. But as I mentioned before, you can swap some of the parsley for a little chopped cilantro or mint. I’m totally not a mint girl so I didn’t but you absolutely can. Oddly enough, I LOVED mint as a child. Um… what CHILD loves mint? ? Perhaps one that’s destined to be a food blogger? ? This has seriously become my go-to salad. I kid you not, while the hubby is out of town, I totally binge on this salad. It’s lunch, it’s a side for a couple of dinners, and it makes me happy. 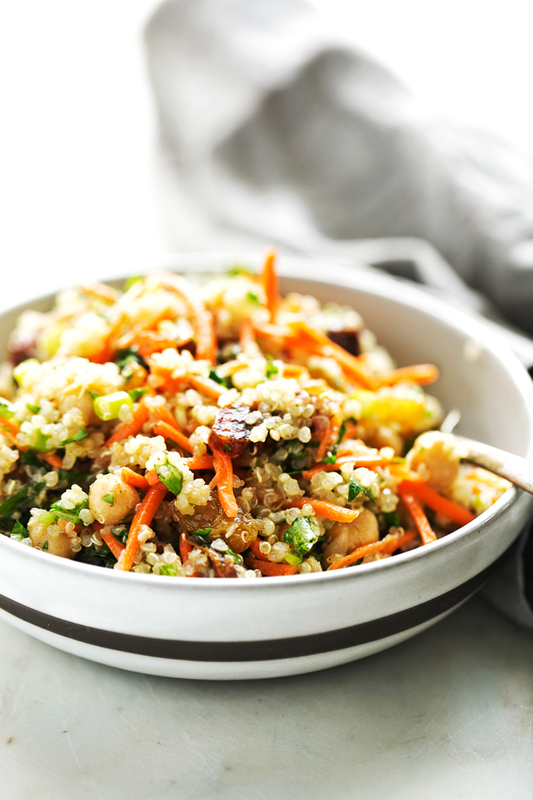 This Quinoa Power Salad is ALL that and a bag of chips. And though it may not contain actual chips, it has so much CRUNCH from the nuts and carrots that it’s got me a little like, WHOA. Bask in the glow of your salad making skills. Let this simple protein-packed power salad make your lunchtime a little more delicious. POWER SALAD: Cook the quinoa according to package directions. Allow the quinoa to cool completely before tossing with the salad ingredients. Toss ingredients together. HONEY-LEMON DRESSING: Combine the ingredients for the dressing in a small mason jar and give it a few good shakes until the dressing mixes through. Drizzle the dressing into the salad and toss the salad to combine everything. 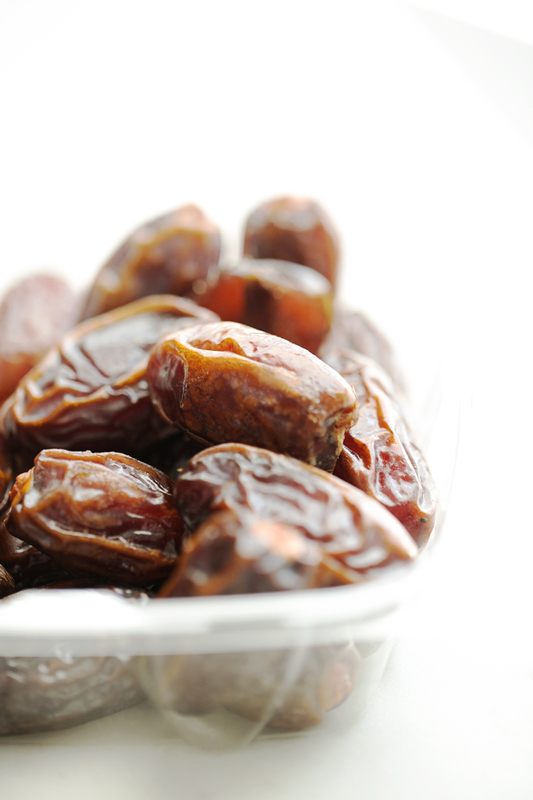 Serve immediately or store in the refrigerator for later! Sometimes when you buy parsley, the bunch is HUGE. If that is the case for you, just use ¾ bunch. It’s really up to you how much parsley/herbs you want to use. Also, some of the parsley can be replaced with mint or cilantro if you’d like. When preparing the quinoa, add a teaspoon of oil and sauté the quinoa for about 1 minute before adding the water and cooking. 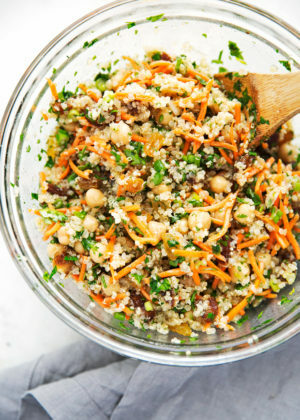 This gives the quinoa a really great nutty/toasted flavor which goes really well with the flavors of this salad! 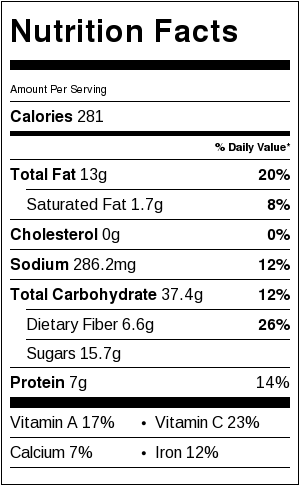 The calculated nutritional facts are for 8 servings. As always for the most accurate calorie count, calculate them using the specific brands you’ve used to prepare the recipe.